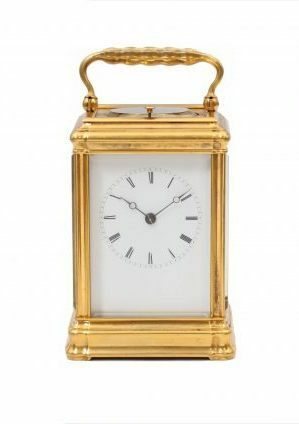 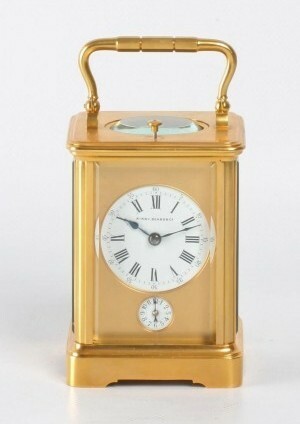 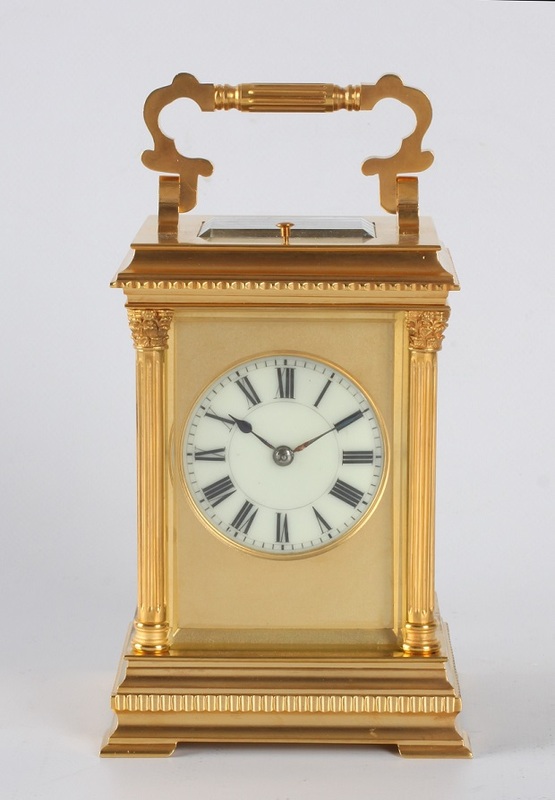 A French gilt Anglaise case carriage clock, Henri Jacot, circa 1880. 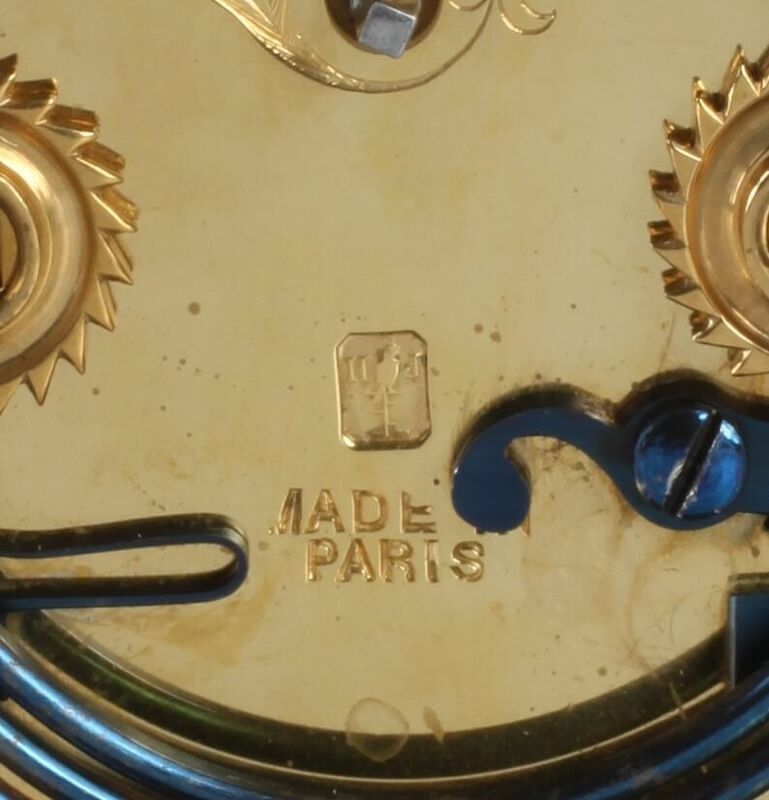 8-day spring driven movement with half hour striking on a gong with repeater, fine Anglaise case with Corinthian columns. 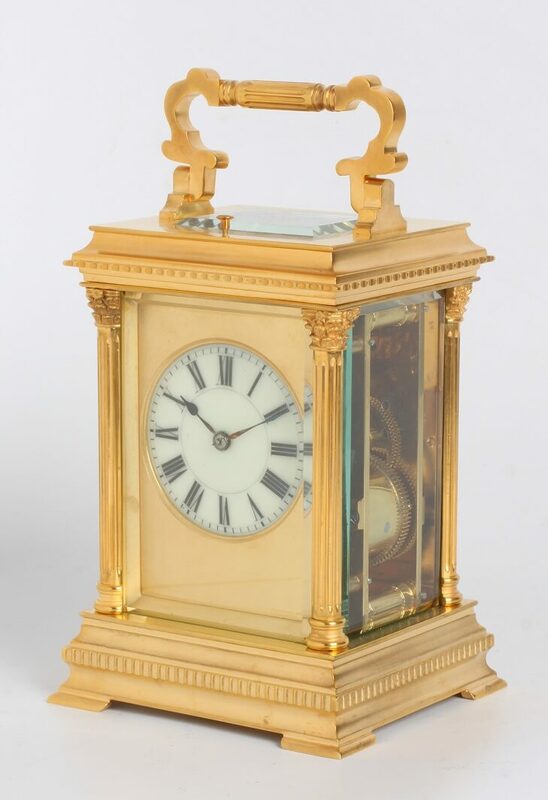 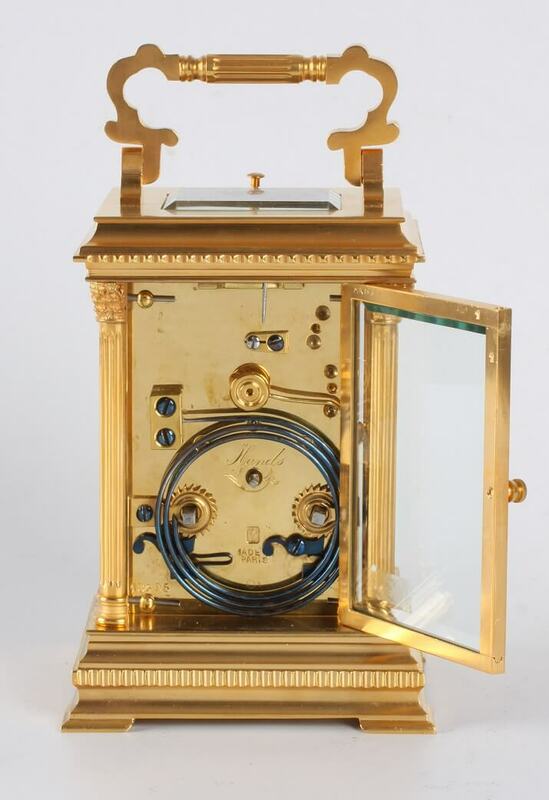 5-cm enamel dial with Roman numerals fitted in a matted gilt surround, fine blued steel hands, movement with platform anchor escapement of 8-day duration marked for Henri Jacot (HJ with Parrot), half hour rack striking on a gong with repeating on demand, fine gilt brass Anglaise case with fine mouldings and Corinthian columns on the corners. 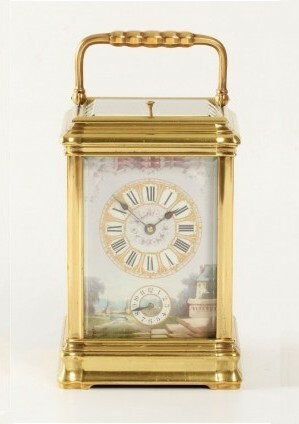 A miniature Swiss silver guilloche enamel timepiece, circa 1900.